In the same vein as Sublime and 311 enters The Dirty Heads into the reggae rock scene complete with the West Coast “island”; sound and the history of performing late a night in garages in and around Huntington Beach. Their debut album, Any Port in a Storm, was released in 2008 with a special edition of the album debuting a few weeks ago. 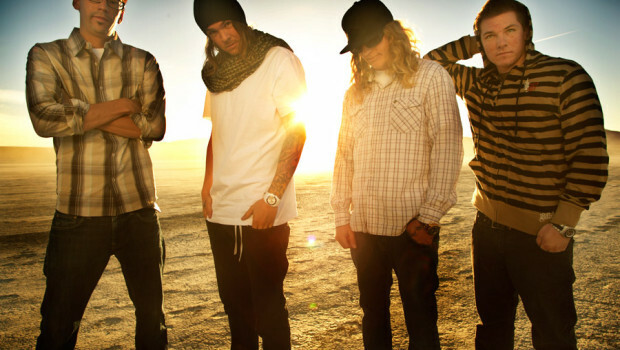 The album’s biggest single is the radio-ready “Lay Me Down”; ft. Rome Ramirez of the legal friendly Sublime with Rome. Fans of the aforementioned predecessors in the genre will feel right at home with the eclectic mix of styles and genres as the album progresses. From the laid back “Lay Me Down“; to album standouts: the 311-like “Stand Tall“; and “Driftin‘”; the disc has a lot to offer over 20 plus tracks. The Special Edition adds in a few acoustic takes and an acoustic cover version of Coldplay’s “Viva La Vida” which is a very interesting listen. Still it all comes back to familiarity and how open you are to the genre, if you hated Sublime (how could you really though?) or severely disliked 311 in the 90’s you won’t find much here to enjoy, it’s the kind of music that you have to be in the mood for. While the practice of re-releasing albums with new tracks has some questionable ethics behind it, especially for first time adopters, if you got hooked on “Lay Me Down“; on the radio and are wondering if every other track sounds like that, yes, they do, if you’re in So Cal on a hot summer’s day with a Corona and a beach you found the right album.